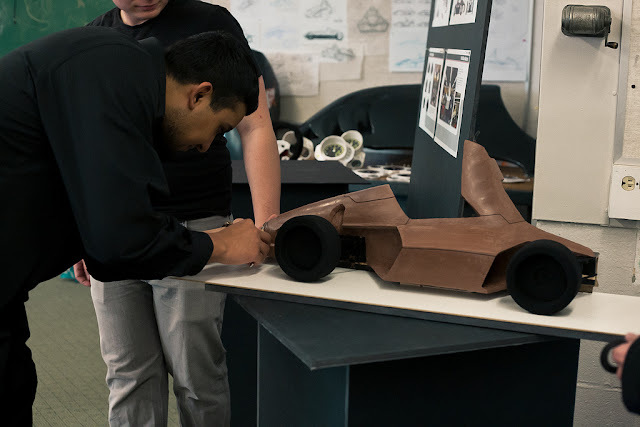 During Week 4, the Formula design group put much attention towards the completion of full scale and quarter scale mockups. 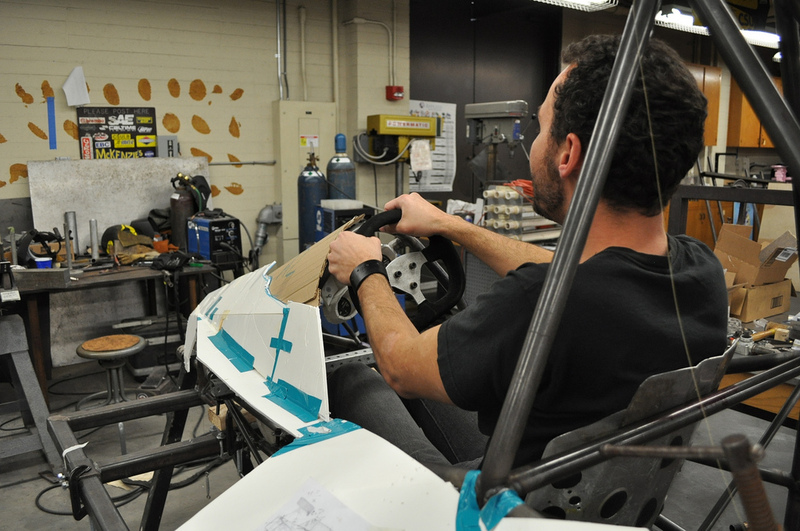 The quarter scale models were divided into two halves, with each half emphasizing different design options. The Full scale model was made using foam core with measurements and notes added on. 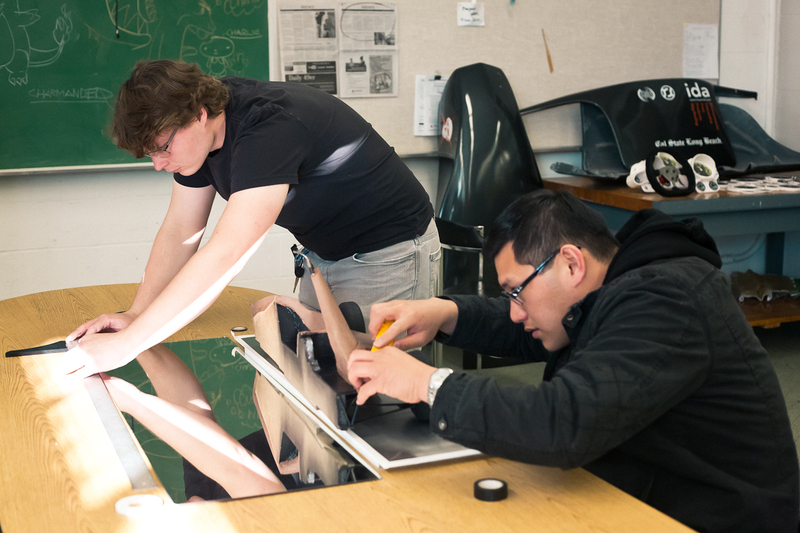 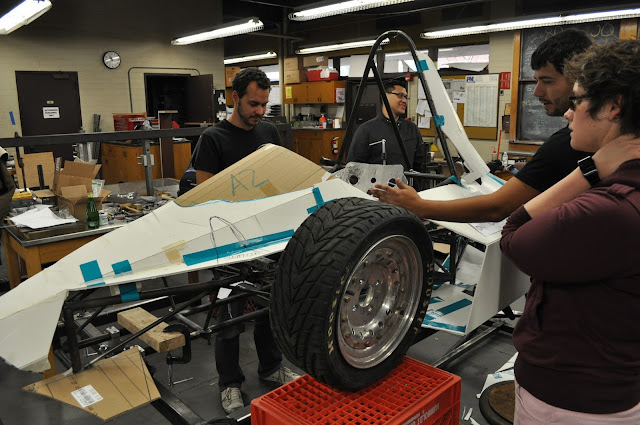 Greg Vanderpol, Armando Tongko, Cesar Viramontes, and Amber Lundy (top from left) working on a full scale formula mockup.